I always thought elephants were strange looking animals. Big, with huge ears and long trunks, there’s no animal like them. But if elephants look so bizarre to us humans, just imagine how crazy they think we look. 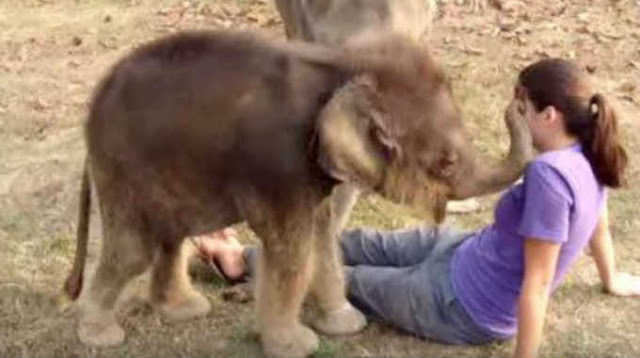 This baby elephant met its first human and was puzzled by the lack of all of the aforementioned features, particularly the trunk. Instead of a big and multi-purpose tool in the middle of her face, this girl has nothing but a small nose. How on earth is she able to drink water or grab things with it? This is the cutest thing ever.